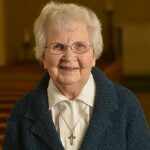 Sister Charlene Herinckx, superior general of the Sisters of St. Mary of Oregon, understands that each religious community’s retirement circumstances are unique. 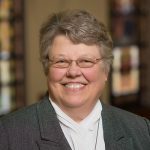 As a volunteer consultant for the National Religious Retirement Office (NRRO) Planning and Implementation Assistance program, she tries to help communities find strategies that are right for them. 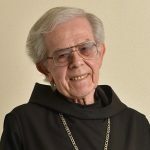 From his hilltop home at Mount Angel Abbey in St. Benedict, Oregon, Abbot Gregory Duerr, 81, can look down on the town where he lived from age 6. 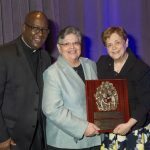 Recently, the National Catholic Development Conference (NCDC) recognized the National Religious Retirement Office (NRRO) with an award for distinguished service.